Why are NATO Defense leaders making our jobs impossible? After decades of endless hours working to get them to overcome the stigma of PTSD, advocates have been showing them how much hope there is in healing, veterans continue to be dumped after duty! We tell them to ask for help in this battle the same way they asked for help to do their duties in combat. We tell them the same people who would have died for them in combat, will listen to them now. We tell them everything they need to hear but cannot say their government will be there for them too! The regiment with the highest Afghan war casualty toll is still suffering losses as its heroes battle demons in civilian life. The Rifles lost 55 dead and 252 wounded serving on the front line but its mentally traumatised veterans continue to die young. A fortnight ago Kevin Holt, a former member of the 2nd Battalion who had always dreamed of being a soldier, was discovered dead at 29 by his mum Shirley – who said the Army “can’t be bothered” to help men like him. Kevin’s death a fortnight ago, after nearly a decade of struggling with post traumatic stress disorder, remains a mystery. But this year alone at least six men who served in the Rifles have taken their own lives, including one in the past week. 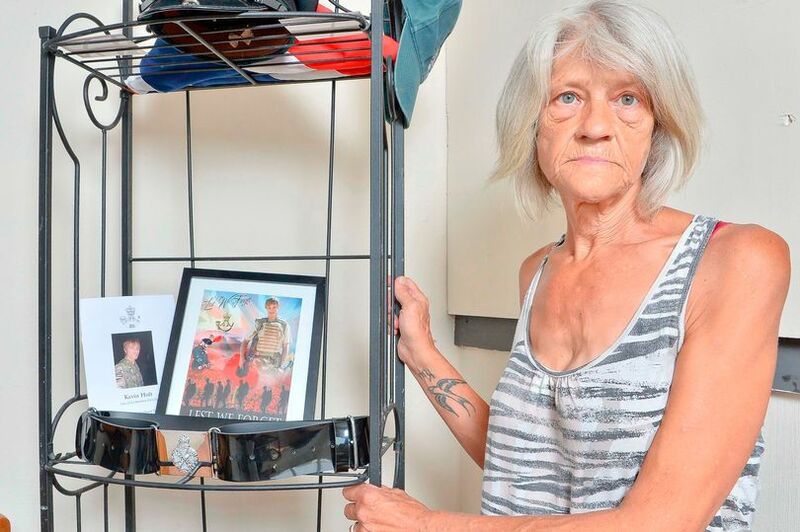 Cleaner Shirley, who found Kevin’s body in the caravan he used as his home, said he never got over what he had witnessed in Afghanistan. Shirley insisted aftercare had been totally lacking, saying: “It was like the Army couldn’t wait to get rid of him. As soon as he was diagnosed everything stopped and he was told he was going to be discharged. “That was it – no help, no counseling, nothing. He even had to wait four years for a pension.